This reference describes the built-in filters available through the Core Image API. You can also find out about the built-in filters on a system by using the Core Image API. See Core Image Programming Guide. A CIImage object whose display name is Image. An NSNumber object whose attribute type is CIAttributeTypeDistance and whose display name is Radius. Available in OS X v10.5 and later and in iOS 9 and later. Available in OS X v10.4 and later and in iOS 6.0 and later. A CIImage object whose display name is Mask. Shades of gray in the mask image vary the blur radius from zero (where the mask image is black) to the radius specified in the inputRadius parameter (where the mask image is white). Computes the median value for a group of neighboring pixels and replaces each pixel value with the median. The effect is to reduce noise. Available in OS X v10.4 and later and in iOS 9 and later. An NSNumber object whose attribute type is CIAttributeTypeAngle and whose display name is Angle. An NSNumber object whose attribute type is CIAttributeTypeScalar and whose display name is Noise Level. An NSNumber object whose attribute type is CIAttributeTypeScalar and whose display name is Sharpness. Small changes in luminance below that value are considered noise and get a noise reduction treatment, which is a local blur. Changes above the threshold value are considered edges, so they are sharpened. A CIVector object whose attribute type is CIAttributeTypePosition and whose display name is Center. An NSNumber object whose attribute type is CIAttributeTypeDistance and whose display name is Amount. RGBA values for the lower end of the range. A CIVector object whose attribute type is CIAttributeTypeRectangle and whose display name is MinComponents. RGBA values for the upper end of the range. A CIVector object whose attribute type is CIAttributeTypeRectangle and whose display name is MaxComponents. At each pixel, color component values less than those in inputMinComponents will be increased to match those in inputMinComponents, and color component values greater than those in inputMaxComponents will be decreased to match those in inputMaxComponents. Available in OS X v10.9 and later and in iOS 7.0 and later. An NSNumber object whose attribute type is CIAttributeTypeScalar and whose display name is Saturation. An NSNumber object whose attribute type is CIAttributeTypeScalar and whose display name is Brightness. An NSNumber object whose attribute type is CIAttributeTypeScalar and whose display name is Contrast. To calculate saturation, this filter linearly interpolates between a grayscale image (saturation = 0.0) and the original image (saturation = 1.0). The filter supports extrapolation: For values large than 1.0, it increases saturation. Available in OS X v10.4 and later and in iOS 5.0 and later. A CIVector object whose display name is Red Vector. A CIVector object whose display name is Green Vector. A CIVector object whose display name is Blue Vector. A CIVector object whose display name is Alpha Vector. A CIVector object whose display name is Bias Vector. As with all color filters, this operation is performed in the working color space of the Core Image context (CIContext) executing the filter, using unpremultiplied pixel color values. If you see unexpected results, verify that your output and working color spaces are set up as intended. A CIVector object whose attribute type is CIAttributeTypeRectangle and whose display name is RedCoefficients. A CIVector object whose attribute type is CIAttributeTypeRectangle and whose display name is GreenCoefficients. A CIVector object whose attribute type is CIAttributeTypeRectangle and whose display name is BlueCoefficients. A CIVector object whose attribute type is CIAttributeTypeRectangle and whose display name is AlphaCoefficients. An NSNumber object whose attribute type is CIAttributeTypeScalar and whose display name is EV. An NSNumber object whose attribute type is CIAttributeTypeScalar and whose display name is Power. This filter essentially rotates the color cube around the neutral axis. A CIImage object whose attribute type is CIAttributeTypeImage and whose display name is Image. Available in OS X v10.10 and later and in iOS 7.0 and later. A CIVector object whose attribute type is CIAttributeTypeOffset and whose display name is Neutral. Available in OS X v10.7 and later and in iOS 5.0 and later. A CIVector object whose attribute type is CIAttributeTypeOffset. The input points are five x,y values that are interpolated using a spline curve. The curve is applied in a perceptual (gamma 2) version of the working space. An NSNumber object whose attribute type is CIAttributeTypeScalar and whose display name is Amount. A CIColor object whose display name is Color. A CIVector object whose display name is RedCoefficients. A CIVector object whose display name is GreenCoefficients. A CIVector object whose display name is BlueCoefficients. Then, the formula is repeated to calculate the blue and green components of the output pixel using the blue and green coefficients, respectively. This filter can be used for advanced color space and tone mapping conversions, such as imitating the color reproduction of vintage photography film. 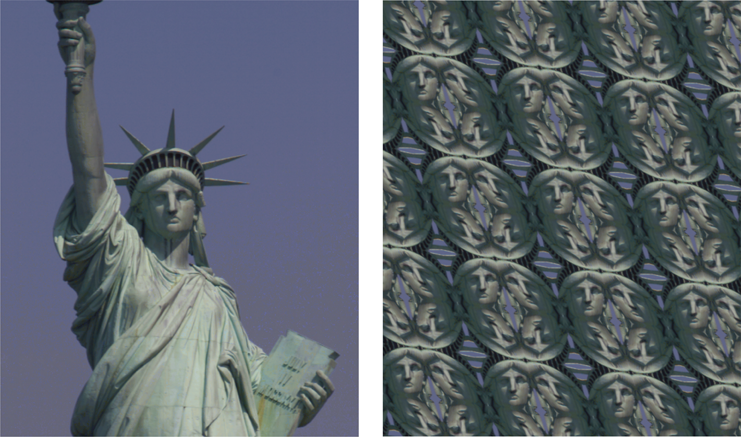 Uses a three-dimensional color table to transform the source image pixels. 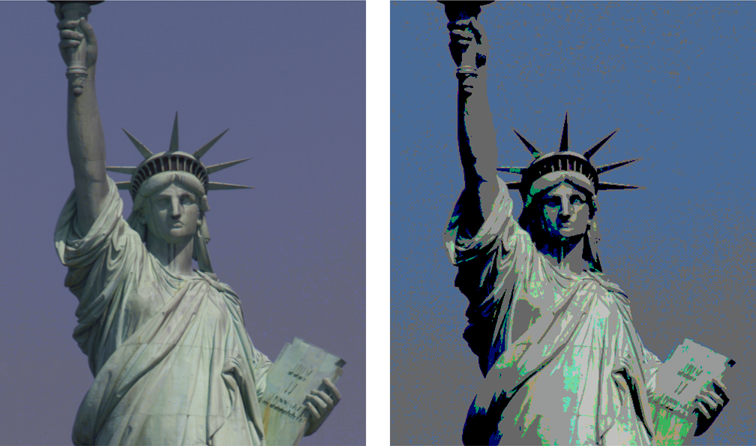 This filter maps color values in the input image to new color values using a three-dimensional color lookup table (also called a CLUT or color cube). For each RGBA pixel in the input image, the filter uses the R, G, and B component values as indices to identify a location in the table; the RGBA value at that location becomes the RGBA value of the output pixel. Use the inputCubeData parameter to provide data formatted for use as a color lookup table, and the inputCubeDimension parameter to specify the size of the table. This data should be an array of texel values in 32-bit floating-point RGBA linear premultiplied format. The inputCubeDimension parameter identifies the size of the cube by specifying the length of one side, so the size of the array should be inputCubeDimension cubed times the size of a single texel value. In the color table, the R component varies fastest, followed by G, then B. Listing 1 shows a basic pattern for creating color cube data. CIFilter *colorCube = [CIFilter filterWithName:@"CIColorCube"
For another example of this filter in action, see Chroma Key Filter Recipe in Core Image Programming Guide. 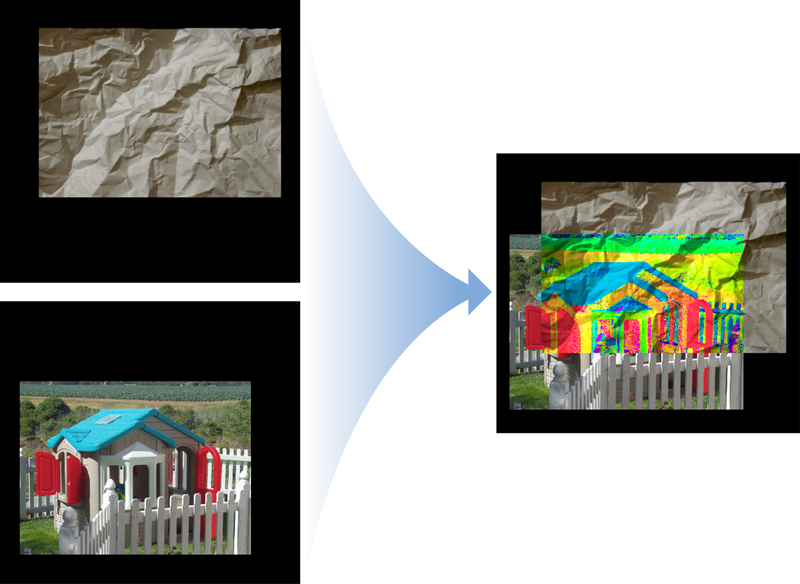 Uses a three-dimensional color table to transform the source image pixels and maps the result to a specified color space. An NSNumber object whose attribute type is CIAttributeTypeCount and whose display name is Cube Dimension. An NSData object whose display name is Cube Data. An CGColorSpaceRef object whose display name is ColorSpace. See CIColorCube for more details on the color cube operation. To provide a CGColorSpaceRef object as the input parameter, cast it to type id. 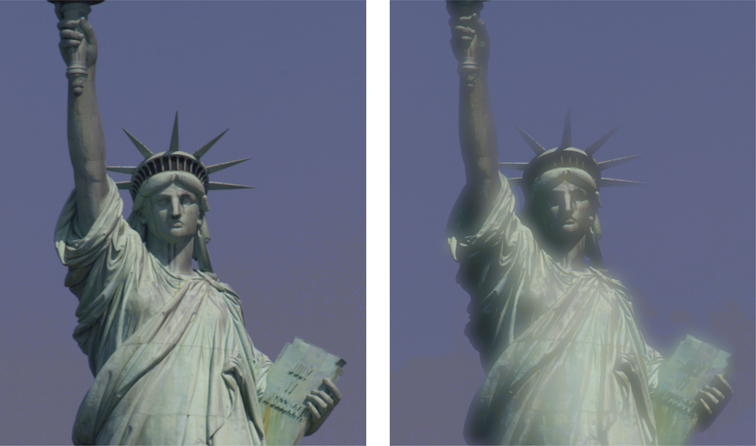 With the default color space (null), which is equivalent to kCGColorSpaceGenericRGBLinear, this filter’s effect is identical to that of CIColorCube. 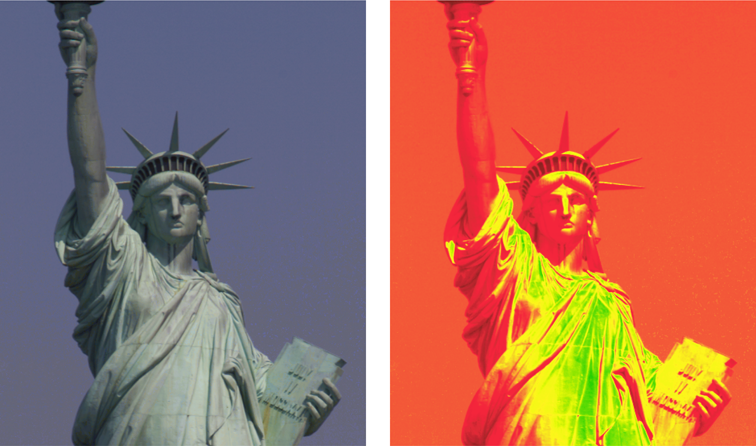 Figure 24 uses the same color cube as Figure 23, but with the sRGB color space. A CIImage object whose attribute type is CIAttributeTypeGradient and whose display name is Gradient Image. A CIColor object whose attribute type is CIAttributeTypeOpaqueColor and whose display name is Color. An NSNumber object whose attribute type is CIAttributeTypeScalar and whose display name is Intensity. An NSNumber object whose attribute type is CIAttributeTypeScalar and whose display name is Levels. 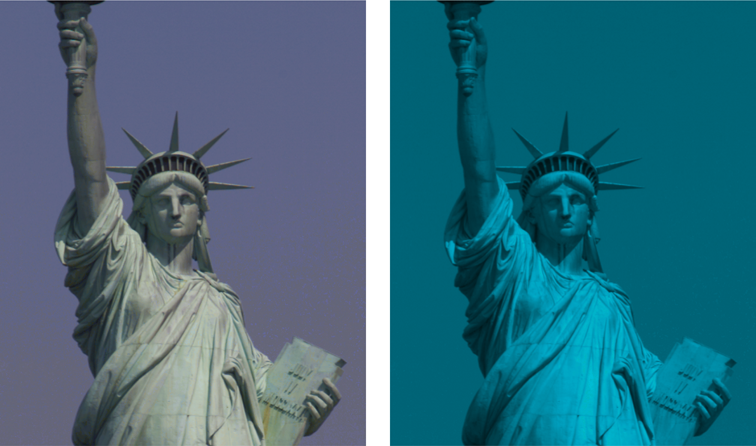 This filter flattens colors to achieve a look similar to that of a silk-screened poster. A CIColor object whose display name is Color 1. A CIColor object whose display name is Color 2. False color is often used to process astronomical and other scientific data, such as ultraviolet and x-ray images. 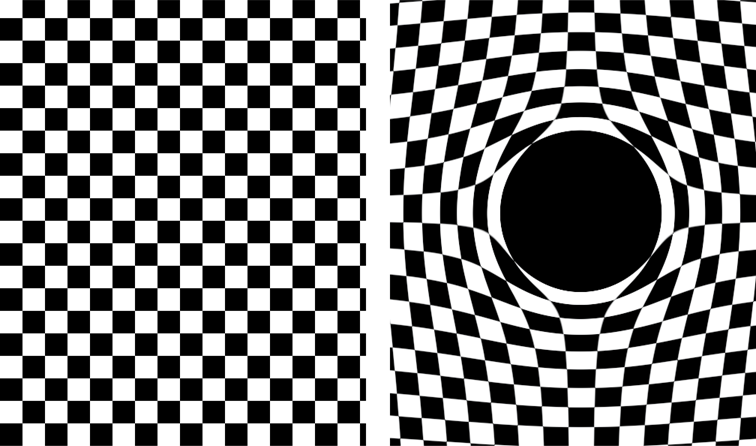 The white values from the source image produce the inside of the mask; the black values become completely transparent. A CIImage object whose display name is Image. This is the image data you want to process. Available in OS X v10.5 and later and in iOS 6.0 and later. Available in OS X v10.9 and later and in iOS 5.0 and later. An NSNumber object whose display name is Radius. A CIImage object whose display name is Background Image. 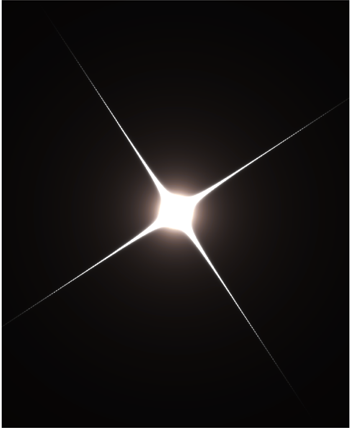 This filter is typically used to add highlights and lens flare effects. The formula used to create this filter is described in Thomas Porter and Tom Duff. 1984. Compositing Digital Images. Computer Graphics, 18 (3): 253-259. This mode preserves the gray levels in the image. The formula used to create this filter is described in the PDF specification, which is available online from the Adobe Developer Center. See PDF Reference and Adobe Extensions to the PDF Specification. 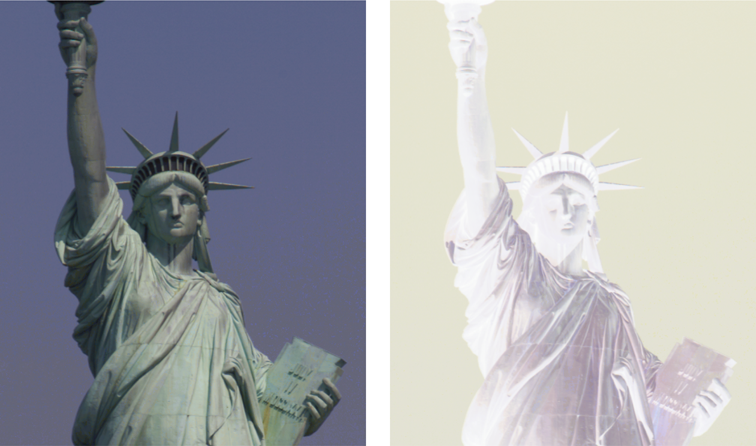 Source image sample values that specify white do not produce a change. The formula used to create this filter is described in the PDF specification, which is available online from the Adobe Developer Center. See PDF Reference and Adobe Extensions to the PDF Specification. 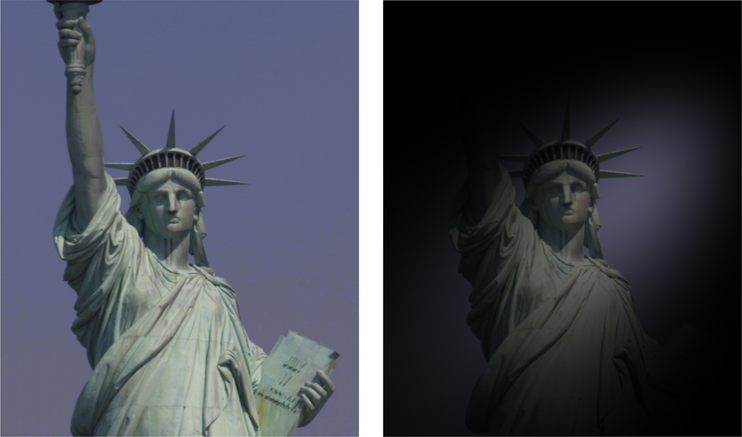 Source image sample values that specify black do not produce a change. The formula used to create this filter is described in the PDF specification, which is available online from the Adobe Developer Center. See PDF Reference and Adobe Extensions to the PDF Specification. The result is that the background image samples are replaced by any source image samples that are darker. Otherwise, the background image samples are left unchanged. The formula used to create this filter is described in the PDF specification, which is available online from the Adobe Developer Center. See PDF Reference and Adobe Extensions to the PDF Specification. Source image sample values that are black produce no change; white inverts the background color values. The formula used to create this filter is described in the PDF specification, which is available online from the Adobe Developer Center. See PDF Reference and Adobe Extensions to the PDF Specification. Available in OS X v10.10 and later and in iOS 8.0 and later. 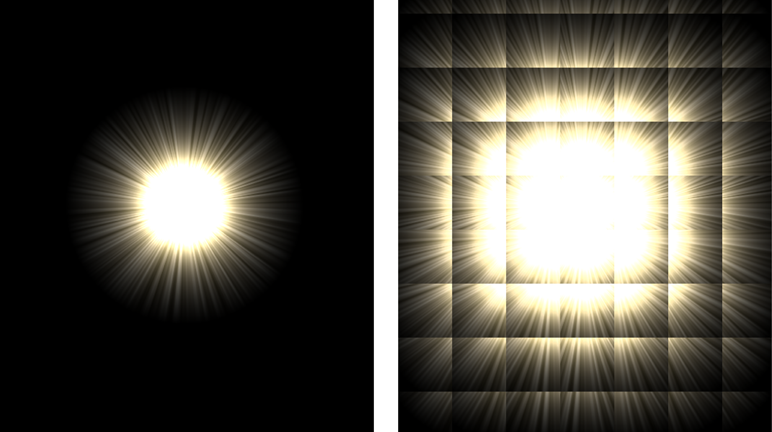 Produces an effect similar to that produced by the CIDifferenceBlendMode filter but with lower contrast. 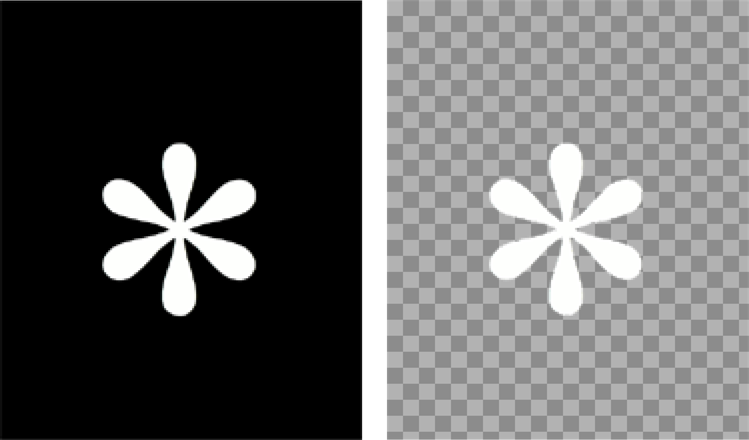 Source image sample values that are black do not produce a change; white inverts the background color values. The formula used to create this filter is described in the PDF specification, which is available online from the Adobe Developer Center. See PDF Reference and Adobe Extensions to the PDF Specification. If the source image sample color is lighter than 50% gray, the background is lightened, similar to screening. 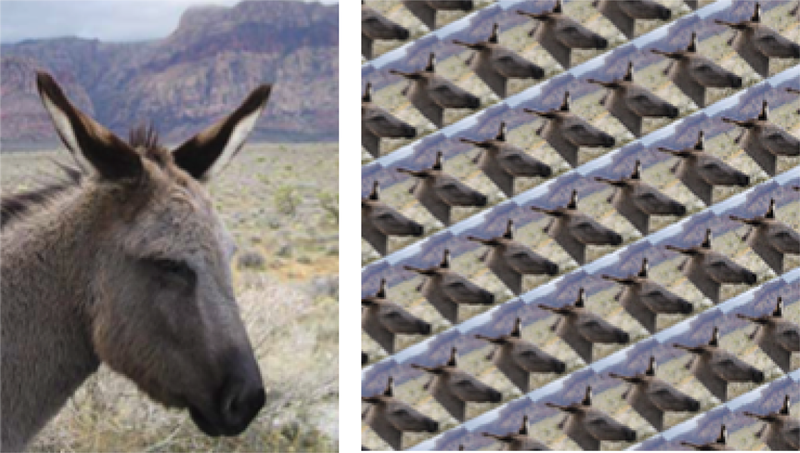 If the source image sample color is darker than 50% gray, the background is darkened, similar to multiplying. 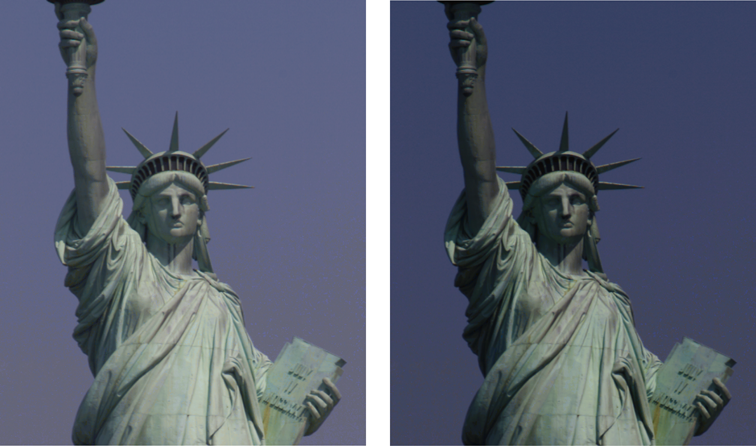 If the source image sample color is equal to 50% gray, the source image is not changed. 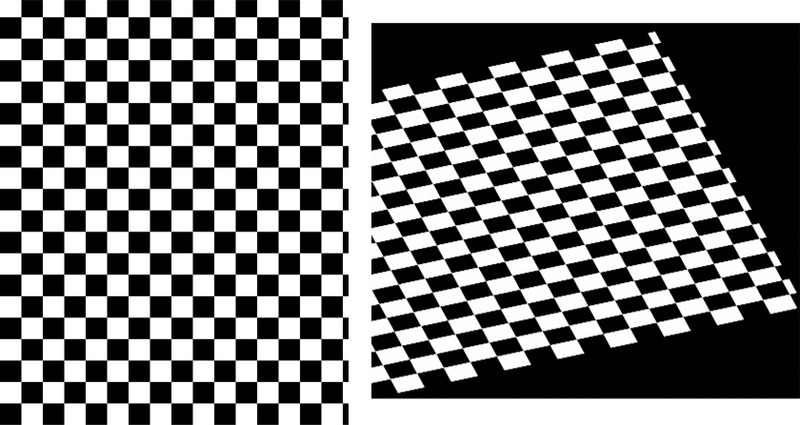 Image samples that are equal to pure black or pure white result in pure black or white. The overall effect is similar to what you would achieve by shining a harsh spotlight on the source image. The formula used to create this filter is described in the PDF specification, which is available online from the Adobe Developer Center. See PDF Reference and Adobe Extensions to the PDF Specification. The formula used to create this filter is described in the PDF specification, which is available online from the Adobe Developer Center. See PDF Reference and Adobe Extensions to the PDF Specification. The result is that the background image samples are replaced by any source image samples that are lighter. Otherwise, the background image samples are left unchanged. The formula used to create this filter is described in the PDF specification, which is available online from the Adobe Developer Center. See PDF Reference and Adobe Extensions to the PDF Specification. The effect of this filter is similar to that of the CIColorBurnBlendMode filter, but more pronounced. The effect of this filter is similar to that of the CIColorDodgeBlendMode filter, but more pronounced. This mode creates an effect that is inverse to the effect created by the CIColorBlendMode filter. The formula used to create this filter is described in the PDF specification, which is available online from the Adobe Developer Center. See PDF Reference and Adobe Extensions to the PDF Specification. This is similar to dodging. The formula used to create this filter is described in Thomas Porter and Tom Duff. 1984. Compositing Digital Images. 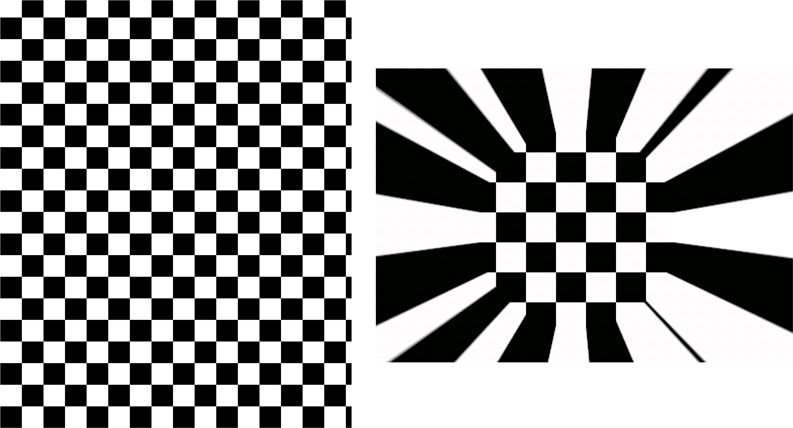 Computer Graphics, 18 (3): 253-259. This is similar to burning. The formula used to create this filter is described in Thomas Porter and Tom Duff. 1984. Compositing Digital Images. 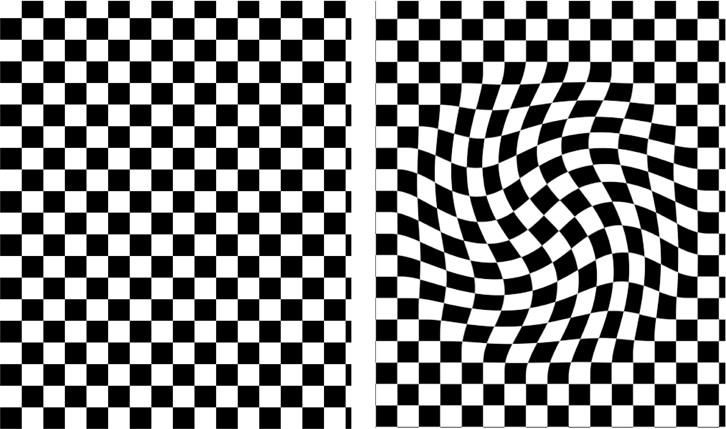 Computer Graphics, 18 (3): 253-259. This results in colors that are at least as dark as either of the two contributing sample colors. The formula used to create this filter is described in the PDF specification, which is available online from the Adobe Developer Center. See PDF Reference and Adobe Extensions to the PDF Specification. This filter is typically used to add a spotlight or similar lighting effect to an image. The formula used to create this filter is described in Thomas Porter and Tom Duff. 1984. Compositing Digital Images. 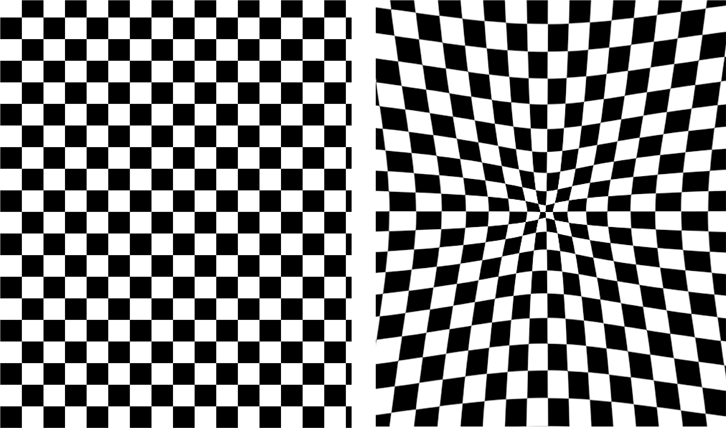 Computer Graphics, 18 (3): 253-259. 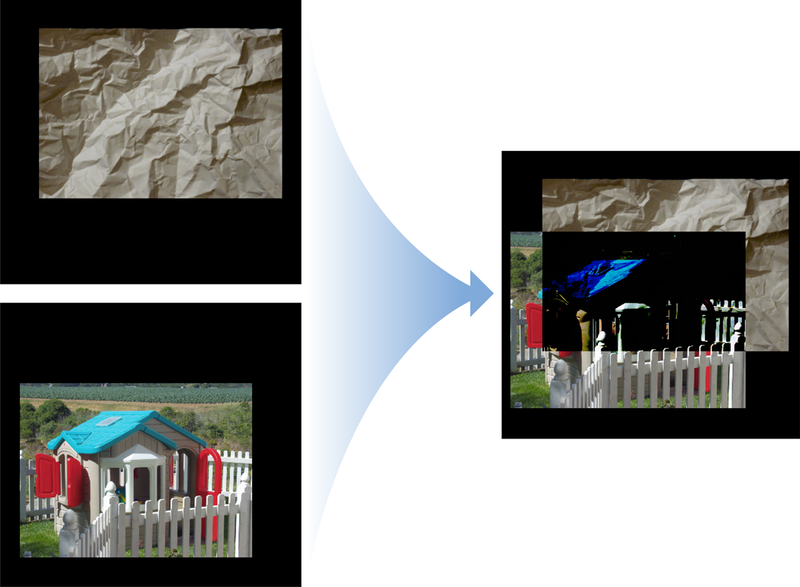 The result is to overlay the existing image samples while preserving the highlights and shadows of the background. 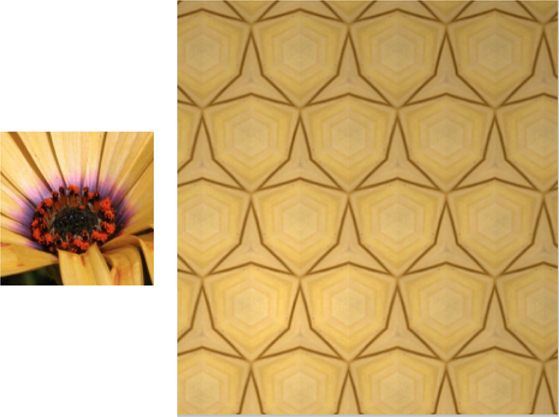 The background color mixes with the source image to reflect the lightness or darkness of the background. The formula used to create this filter is described in the PDF specification, which is available online from the Adobe Developer Center. See PDF Reference and Adobe Extensions to the PDF Specification. 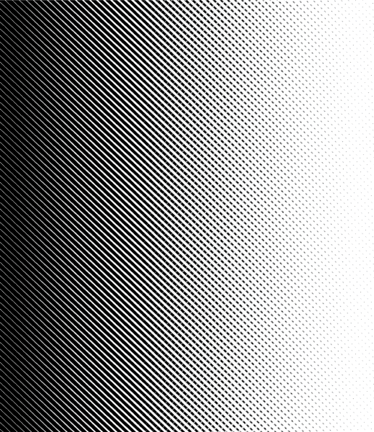 Areas of the background that have no saturation (that is, pure gray areas) do not produce a change. The formula used to create this filter is described in the PDF specification, which is available online from the Adobe Developer Center. See PDF Reference and Adobe Extensions to the PDF Specification. This results in colors that are at least as light as either of the two contributing sample colors. The formula used to create this filter is described in the PDF specification, which is available online from the Adobe Developer Center. See PDF Reference and Adobe Extensions to the PDF Specification. If the source image sample color is lighter than 50% gray, the background is lightened, similar to dodging. If the source image sample color is darker than 50% gray, the background is darkened, similar to burning. If the source image sample color is equal to 50% gray, the background is not changed. 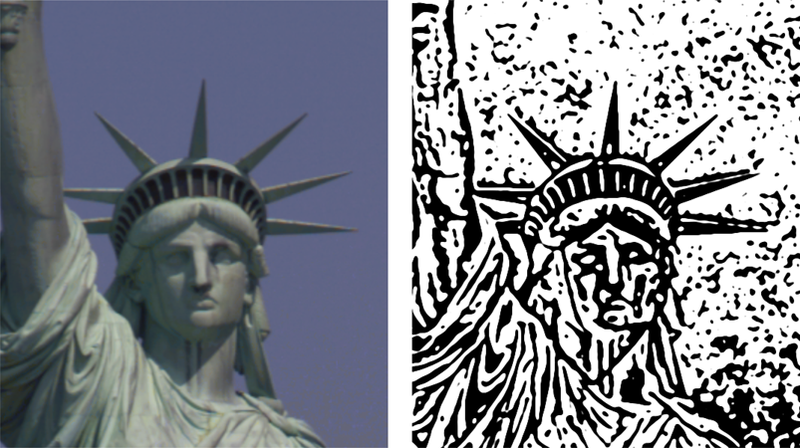 Image samples that are equal to pure black or pure white produce darker or lighter areas, but do not result in pure black or white. The overall effect is similar to what you would achieve by shining a diffuse spotlight on the source image. The formula used to create this filter is described in the PDF specification, which is available online from the Adobe Developer Center. See PDF Reference and Adobe Extensions to the PDF Specification. The composite shows the background image and only those portions of the source image that are over visible parts of the background. The formula used to create this filter is described in Thomas Porter and Tom Duff. 1984. Compositing Digital Images. Computer Graphics, 18 (3): 253-259. The formula used to create this filter is described in Thomas Porter and Tom Duff. 1984. Compositing Digital Images. Computer Graphics, 18 (3): 253-259. An NSNumber object whose attribute type is CIAttributeTypeScalar and whose display name is Scale. The bump can be concave or convex. Available in OS X v10.4 and later and in iOS 7.0 and later. 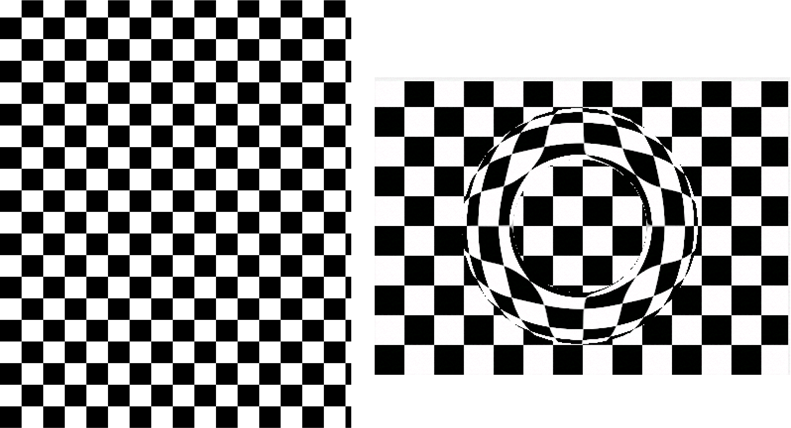 The distortion of the image increases with the distance from the center of the circle. A CIVector object whose attribute type is CIAttributeTypePosition. An NSNumber object whose attribute type is CIAttributeTypeDistance. An NSNumber object whose attribute type is CIAttributeTypeScalar. Available in OS X v10.6 and later and in iOS 9 and later. A CIImage object whose display name is Displacement Image. An NSNumber object whose attribute type is CIAttributeTypeDistance and whose display name is Scale. 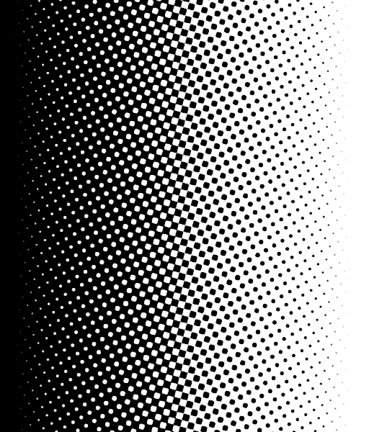 The output image has a texture defined by the grayscale values. A CIImage object whose display name is Texture. The raised portions of the output image are the result of applying a texture map. Available in OS X v10.4 and later and in iOS 8.0 and later. A CIVector object whose attribute type is CIAttributeTypePosition and whose display name is Point 1. A CIVector object whose attribute type is CIAttributeTypePosition and whose display name is Point 2. An NSNumber object whose attribute type is CIAttributeTypeScalar and whose display name is Refraction. 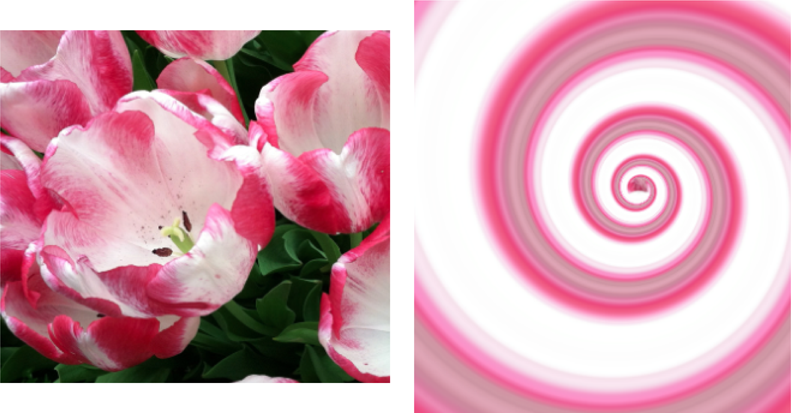 Rotates a portion of the input image specified by the center and radius parameters to give a tunneling effect. An NSNumber object whose attribute type is CIAttributeTypeAngle. Available in OS X v10.11 and later and in iOS 6.0 and later. A CIVector object whose display name is Size. This value specifies the size of the output image in pixels. An NSNumber object whose display name is CropAmount. This value determines if, and how much, cropping should be used to achieve the target size. If the value is 0, the image is stretched but not cropped. If the value is 1, the image is cropped but not stretched. Values in-between use stretching and cropping proportionally. An NSNumber object whose display name is CenterStretchAmount. This value determines how much stretching to apply to the center of the image, if stretching is indicated by the inputCropAmount value. A value of 0 causes the center of the image to maintain its original aspect ratio. A value of 1 causes the image to be stretched uniformly. An NSNumber object whose attribute type is CIAttributeTypeDistance and whose display name is Width. You can specify the number of rotations as well as the center and radius of the effect. 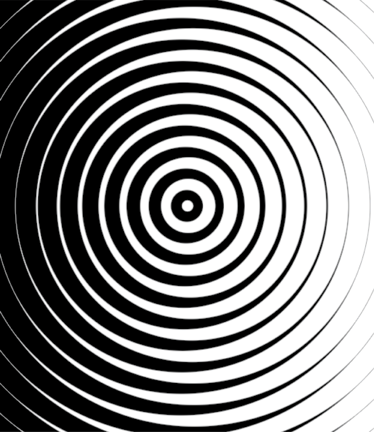 You can specify the number of rotations as well the center and radius of the effect. The data to be encoded as an Aztec code. An NSData object whose display name is Message. The percentage of redundancy to add to the message data in the barcode encoding. A higher correction level allows a barcode to be correctly read even when partially damaged. An NSNumber object whose display name is CorrectionLevel. 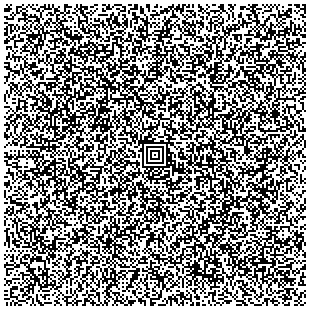 The number of concentric squares (with a width of two pixels each) encoding the barcode data. When this parameter is set to zero, Core Image automatically determines the appropriate number of layers to encode the message at the specified correction level. An NSNumber object whose display name is Layers. A Boolean value that determines whether to use the compact or full-size Aztec barcode format. The compact format can store up to 44 bytes of message data (including data added for correction) in up to 4 layers, producing a barcode image sized between 15 x 15 and 27 x 27 pixels. 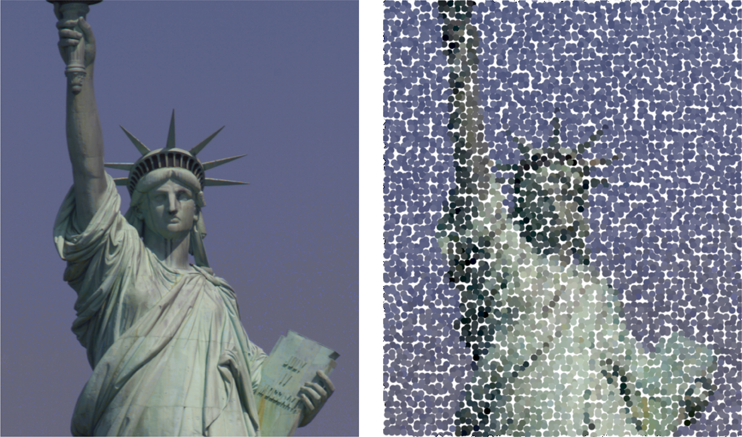 The full-size format can store up to 1914 bytes of message data (including correction) in up to 32 layers, producing a barcode image sized no larger than 151 x 151 pixels. An NSNumber object whose display name is CompactStyle. Generates an output image representing the input data according to the ISO/IEC 24778:2008 standard. The width and height of each module (square dot) of the code in the output image is one pixel. To create an Aztec code from a string or URL, convert it to an NSData object using the NSISOLatin1StringEncoding string encoding. The output image also includes two pixels of padding on each side (for example, a 15 x 15 code creates a 19 x 19 image). 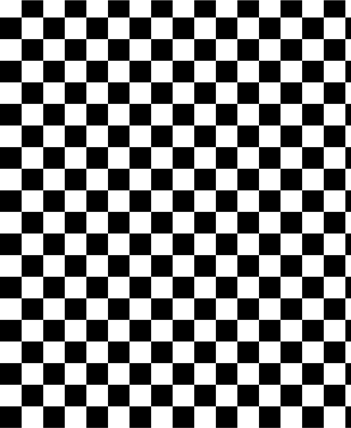 You can specify the checkerboard size and colors, and the sharpness of the pattern. The data to be encoded as a Code 128 barcode. Must not contain non-ASCII characters. An NSData object whose display name is Message. The number of pixels of added white space on each side of the barcode. An NSNumber object whose attribute type is CIAttributeTypeScalar and whose display name is QuietSpace. Generates an output image representing the input data according to the ISO/IEC 15417:2007 standard. The width of each module (vertical line) of the barcode in the output image is one pixel. The height of the barcode is 32 pixels. To create a barcode from a string or URL, convert it to an NSData object using the NSASCIIStringEncoding string encoding. You typically use the output of this filter as the input to another filter. The center of the lens flare. A CIVector object whose attribute type is CIAttributeTypePosition and whose display name is Center. Controls the proportion of red, green, and blue halos. A CIColor object whose display name is Color. Controls the size of the lens flare. An NSNumber object whose attribute type is CIAttributeTypeDistance and whose display name is Halo Radius. 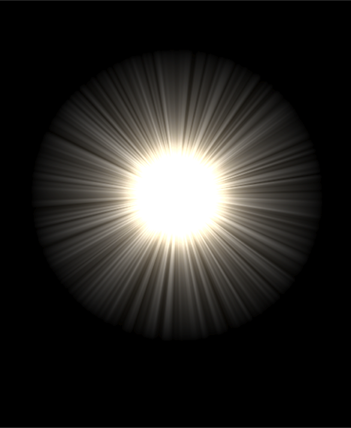 Controls the width of the lens flare, that is, the distance between the inner flare and the outer flare. An NSNumber object whose attribute type is CIAttributeTypeDistance and whose display name is Halo Width. Controls how much the red, green, and blue halos overlap. A value of 0 means no overlap (a lot of separation). A value of 1 means full overlap (white halos). An NSNumber object whose attribute type is CIAttributeTypeScalar and whose display name is Halo Overlap. Controls the brightness of the rainbow-colored halo area. An NSNumber object whose attribute type is CIAttributeTypeScalar and whose display name is Striation Strength. Controls the contrast of the rainbow-colored halo area. An NSNumber object whose attribute type is CIAttributeTypeScalar and whose display name is Striation Contrast. Adds a randomness to the lens flare; it causes the flare to "sparkle" as it changes through various time values. An NSNumber object whose attribute type is CIAttributeTypeScalar and whose display name is Time. This filter is typically applied to another image to simulate lens flares and similar effects. The data to be encoded as a barcode. An NSData object whose display name is Message. The minimum width of the barcode’s data area, in pixels. An NSNumber object whose display name is MinWidth. The maximum width of the barcode’s data area, in pixels. An NSNumber object whose display name is MaxWidth. The minimum height of the barcode’s data area, in pixels. An NSNumber object whose display name is MinHeight. The maximum height of the barcode’s data area, in pixels. An NSNumber object whose display name is MaxHeight. The number of data columns in the generated code. If zero, the generator uses a number of columns based on the width, height, and aspect ratio. An NSNumber object whose display name is DataColumns. The number of data rows in the generated code. If zero, the generator uses a number of rows based on the width, height, and aspect ratio. An NSNumber object whose display name is Rows. The preferred ratio of width over height for the generated barcode. The generator approximates this with an actual aspect ratio based on the data and other parameters you specify. An NSNumber object whose display name is PreferredAspectRatio. An option that determines which method the generator uses to compress data. Automatic. The generator automatically chooses a compression method. This option is the default. Numeric. Valid only when the message is an ASCII-encoded string of digits, achieving optimal compression for that type of data. Text. Valid only when the message is all ASCII-encoded alphanumeric and punctuation characters, achieving optimal compression for that type of data. Byte. Valid for any data, but least compact. An NSNumber object whose display name is CompactionMode. A Boolean value that determines whether to omit redundant elements to make the generated barcode more compact. An NSNumber object whose display name is CompactStyle. An integer between 0 and 8, inclusive, that determines the amount of redundancy to include in the barcode’s data to prevent errors when the barcode is read. If unspecified, the generator chooses a correction level based on the size of the message data. An NSNumber object whose display name is CorrectionLevel. An NSNumber object whose display name is AlwaysSpecifyCompaction. Generates an output image representing the input data according to the ISO 15438 standard. PDF417 codes are commonly used in postage, package tracking, personal identification documents, and coffeeshop membership cards. The width and height of each module (square dot) of the code in the output image is one point. To create a PDF417 code from a string or URL, convert it to an NSData object using the NSISOLatin1StringEncoding string encoding. Available in OS X v10.11 and later and in iOS 9 and later. 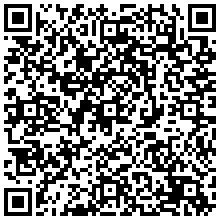 The data to be encoded as a QR code. An NSData object whose display name is Message. A single letter specifying the error correction format. An NSString object whose display name is CorrectionLevel. Generates an output image representing the input data according to the ISO/IEC 18004:2006 standard. The width and height of each module (square dot) of the code in the output image is one point. To create a QR code from a string or URL, convert it to an NSData object using the NSISOLatin1StringEncoding string encoding. The center of the flare. A CIVector object whose attribute type is CIAttributeTypePosition and whose display name is Center. The color of the flare. A CIColor object whose display name is Color. Controls the size of the flare. An NSNumber object whose attribute type is CIAttributeTypeDistance and whose display name is Radius. Controls the ratio of the cross flare size relative to the round central flare. An NSNumber object whose attribute type is CIAttributeTypeScalar and whose display name is Cross Scale. Controls the angle of the flare. An NSNumber object whose attribute type is CIAttributeTypeAngle and whose display name is Cross Angle. Controls the thickness of the cross flare. An NSNumber object whose attribute type is CIAttributeTypeScalar and whose display name is Cross Opacity. 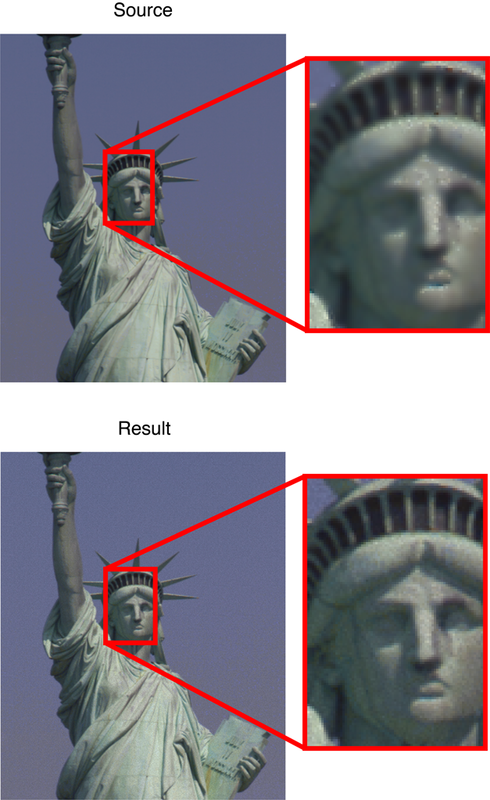 Has the same overall effect as the inputCrossOpacity parameter. An NSNumber object whose attribute type is CIAttributeTypeDistance and whose display name is Cross Width. An NSNumber object whose attribute type is CIAttributeTypeScalar and whose display name is Epsilon. The output image is typically used as input to another filter. 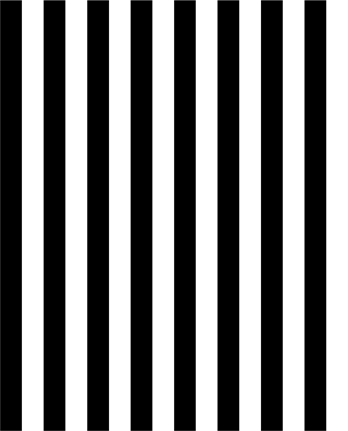 You can control the color of the stripes, the spacing, and the contrast. 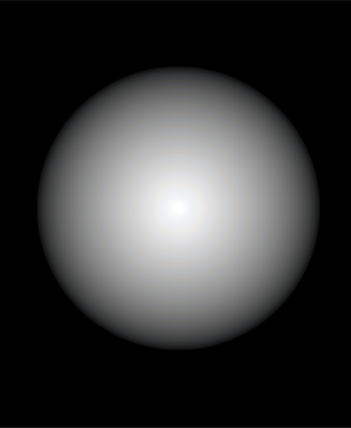 An NSNumber object whose attribute type is CIAttributeTypeDistance and whose display name is Sun Radius. An NSNumber object whose attribute type is CIAttributeTypeScalar and whose display name is Maximum Striation Radius. An NSNumber object whose attribute type is CIAttributeTypeScalar and whose display name is Striation Strength. 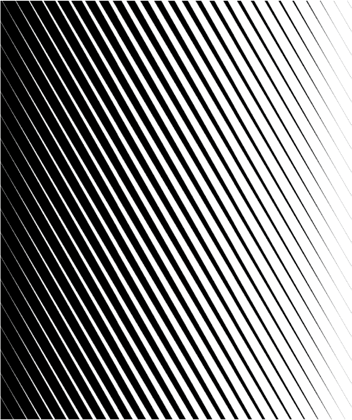 An NSNumber object whose attribute type is CIAttributeTypeScalar and whose display name is Striation Contrast. An NSNumber object whose attribute type is CIAttributeTypeScalar and whose display name is Time. You typically use the output of the sunbeams filter as input to a composite filter. Applies an affine transform to an image. On OS X, an NSAffineTransform object whose attribute type is CIAttributeTypeTransform. You can scale, translate, or rotate the input image. You can also apply a combination of these operations. A CIVector object whose attribute type is CIAttributeTypeRectangle and whose display name is Rectangle. The size and shape of the cropped image depend on the rectangle you specify. An NSNumber object whose attribute type is CIAttributeTypeScalar and whose display name is Aspect Ratio. You typically use this filter to scale down an image. The point in the input image to be mapped to the top left corner of the output image. A CIVector object whose attribute type is CIAttributeTypePosition and whose display name is Top Left. The point in the input image to be mapped to the top right corner of the output image. A CIVector object whose attribute type is CIAttributeTypePosition and whose display name is Top Right. The point in the input image to be mapped to the bottom right corner of the output image. A CIVector object whose attribute type is CIAttributeTypePosition and whose display name is Bottom Right. The point in the input image to be mapped to the bottom left corner of the output image. A CIVector object whose attribute type is CIAttributeTypePosition and whose display name is Bottom Left. 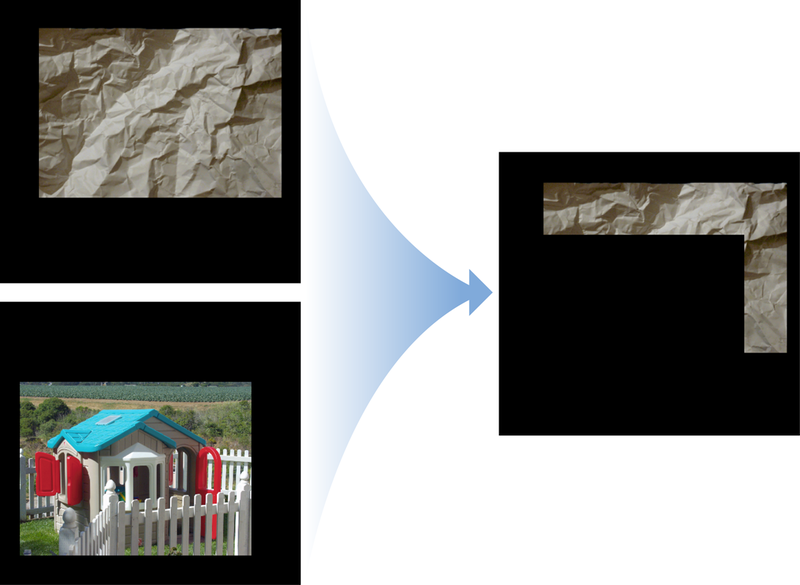 The extent of the rectangular output image varies based on the size and placement of the specified quadrilateral region in the input image. You can use the perspective filter to skew an image. 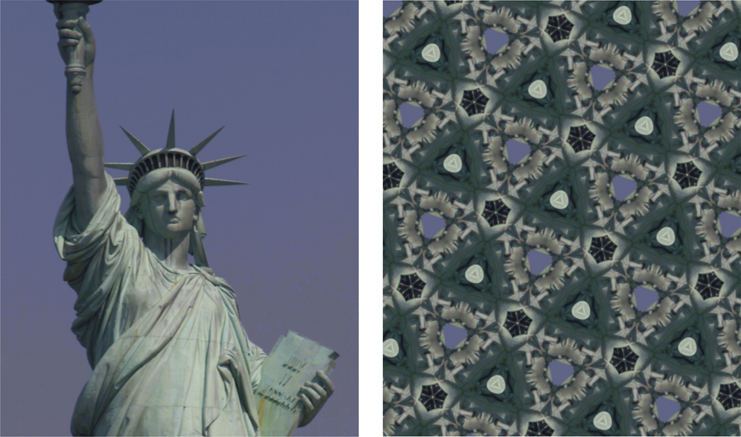 Alters the geometry of a portion of an image to simulate the observer changing viewing position. A CIVector object whose whose attribute type is CIAttributeTypeRectangle. If you pass [image extent] you’ll get the same result as using the CIPerspectiveTransform filter. 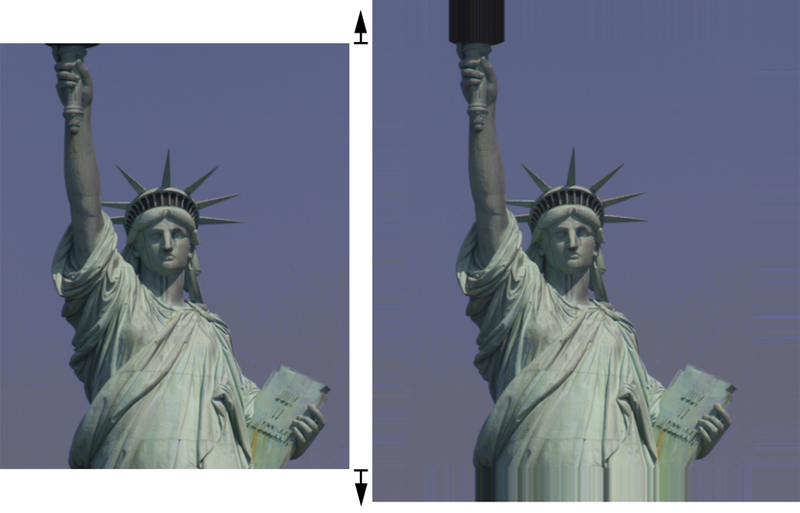 You can use the perspective filter to skew an the portion of the image defined by extent. 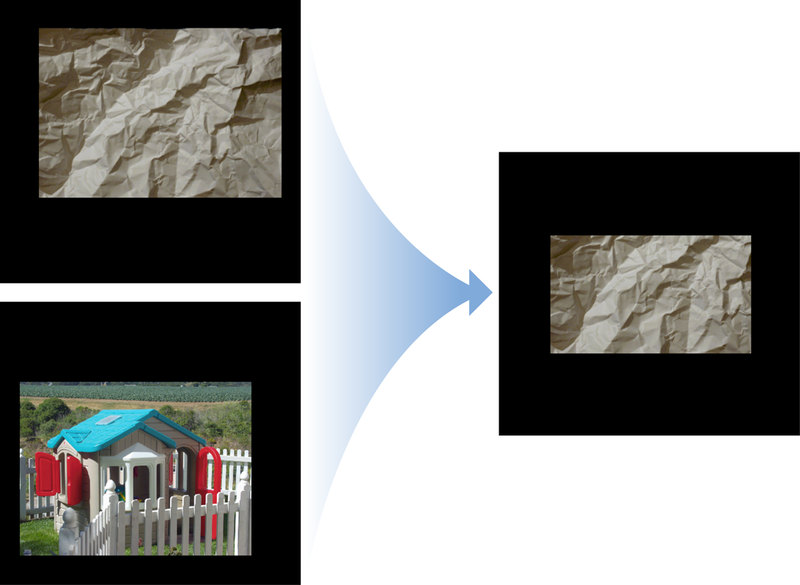 See CIPerspectiveTransform for an example of the output of this filter when you supply the input image size as the extent. An NSNumber object whose attribute type is CIAttributeTypeScalar and whose display name is Angle. The image is scaled and cropped so that the rotated image fits the extent of the input image. An NSNumber object whose attribute type is CIAttributeTypeDistance and whose display name is Radius 1. An NSNumber object whose attribute type is CIAttributeTypeDistance and whose display name is Radius 2. It is valid for one of the two circles to have a radius of 0. 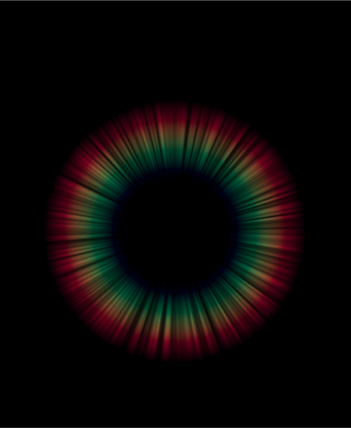 Generates a gradient that uses an S-curve function to blend colors along a linear axis between two defined endpoints. A CIColor object whose attribute type is CIAttributeTypeColor and whose display name is Color 1. A CIColor object whose attribute type is CIAttributeTypeColor and whose display name is Color 2. Where the CILinearGradient filter blends colors linearly (that is, the color at a point 25% along the line between Point 1 and Point 2 is 25% Color 1 and 75% Color 2), this filter blends colors using an S-curve function: the color blend at points less than 50% along the line between Point 1 and Point 2 is slightly closer to Color 1 than in a linear blend, and the color blend at points further than 50% along that line is slightly closer to Color 2 than in a linear blend. Available in OS X v10.11 and later and in iOS 7.0 and later. An NSNumber object whose attribute type is CIAttributeTypeScalar and whose display name is Gray Component Replacement. An NSNumber object whose attribute type is CIAttributeTypeScalar and whose display name is Under Color Removal. A CIVector object representing the rectangular region of interest. The rectangular region of interest. The number of “buckets” for the histogram. A scaling factor. Core Image scales the histogram by dividing the scale by the area of the inputExtent rectangle. Available in OS X v10.5 and later and in iOS 8.0 and later. Generates a histogram image from the output of the CIAreaHistogram filter. The height of the displayable histogram image. An NSNumber object whose attribute type is CIAttributeTypeScalar and whose display name is Height. 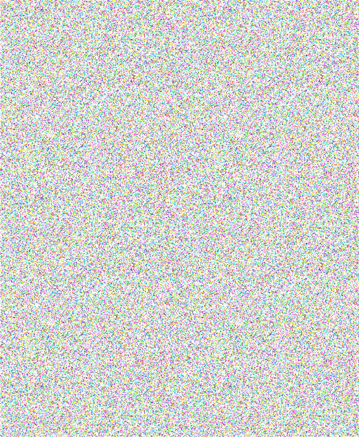 The fraction of the left portion of the histogram image to be made darker. An NSNumber object whose attribute type is CIAttributeTypeScalar and whose display name is HighLimit. The fraction of the right portion of the histogram image to be made lighter. An NSNumber object whose attribute type is CIAttributeTypeScalar and whose display name is LowLimit. The input image should be a one-dimensional image in which each pixel contains data (per component) for one “bucket” of the histogram; you can produce such an image using the CIAreaHistogram filter. The width of the output image is the same as that of the input image, and its height is the value of the inputHeight parameter. Available in OS X v10.9 and later and in iOS 8.0 and later. 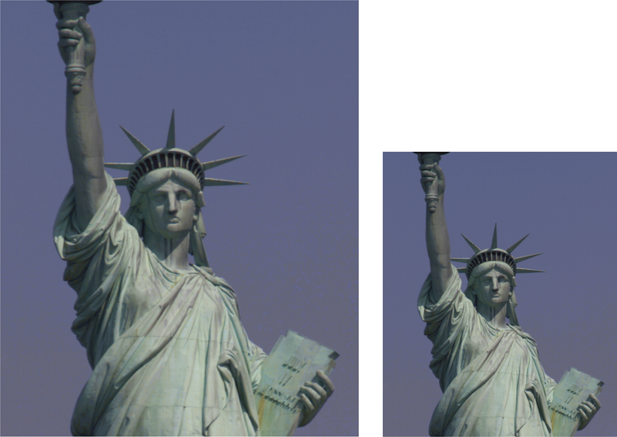 Image component values should range from 0.0 to 1.0, inclusive. If more than one pixel exists with the maximum alpha value, Core Image returns the vector that has the lowest x and y coordinate. Image component values should range from 0.0 to 1.0, inclusive. If more than one pixel exists with the minimum alpha value, Core Image returns the vector that has the lowest x and y coordinate. Image component values should range from 0.0 to 1.0, inclusive. It operates on the luminance of the image; the chrominance of the pixels remains unaffected. A CIImage object whose display name is Mask Image. When a mask alpha value is 0.0, the result is the background. When the mask alpha value is 1.0, the result is the image. When a mask value is 0.0, the result is the background. When the mask value is 1.0, the result is the image. A CIVector object whose display name is Weights. An NSNumber object whose attribute type is CIAttributeTypeDistance and whose display name is Bias. A convolution filter generates each output pixel by summing all elements in the element-wise product of two matrices—a weight matrix and a matrix containing the neighborhood surrounding the corresponding input pixel—and adding a bias. This operation is performed independently for each color component (including the alpha component), and the resulting value is clamped to the range between 0.0 and 1.0. 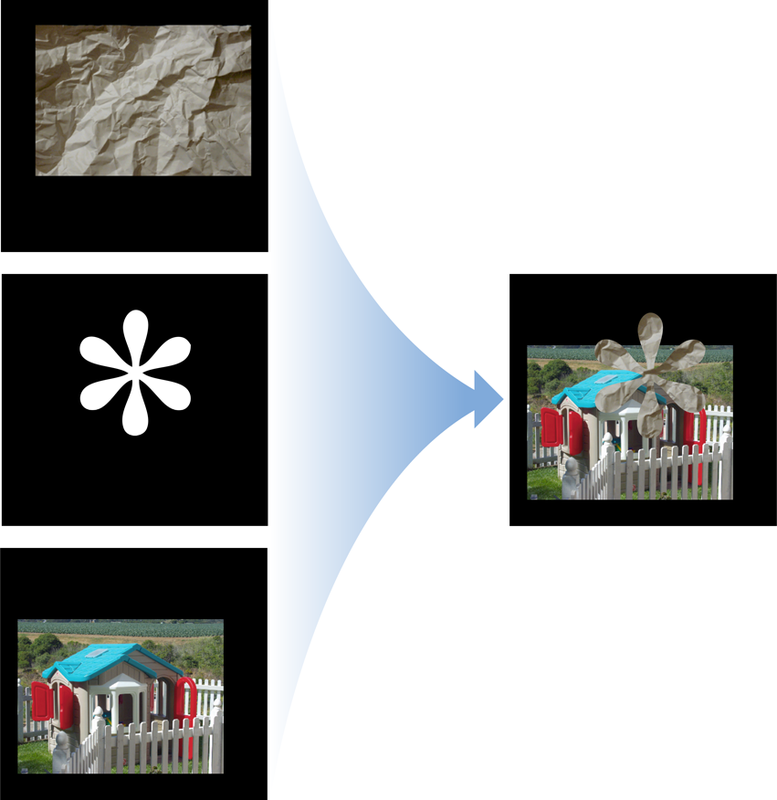 You can create many types of image processing effects using different weight matrices, such as blurring, sharpening, edge detection, translation, and embossing. This filter uses a 3x3 weight matrix and the 3x3 neighborhood surrounding an input pixel (that is, the pixel itself and those within a distance of one pixel horizontally or vertically). If you want to preserve the overall brightness of the image, ensure that the sum of all values in the weight matrix is 1.0. You may find it convenient to devise a weight matrix without this constraint and then normalize it by dividing each element by the sum of all elements, as shown in the figure below. This filter uses a 5x5 weight matrix and the 5x5 neighborhood surrounding an input pixel (that is, the pixel itself and those within a distance of two pixels horizontally or vertically). If you want to preserve the overall brightness of the image, ensure that the sum of all values in the weight matrix is 1.0. You may find it convenient to devise a weight matrix without this constraint and then normalize it by dividing each element by the sum of all elements. This filter uses a 7x7 weight matrix and the 7x7 neighborhood surrounding an input pixel (that is, the pixel itself and those within a distance of three pixels horizontally or vertically). Available in OS X v10.9 and later and in iOS 9 and later. This filter uses a 9x1 weight matrix and the 9x1 neighborhood surrounding an input pixel (that is, the pixel itself and those within a distance of four pixels horizontally). 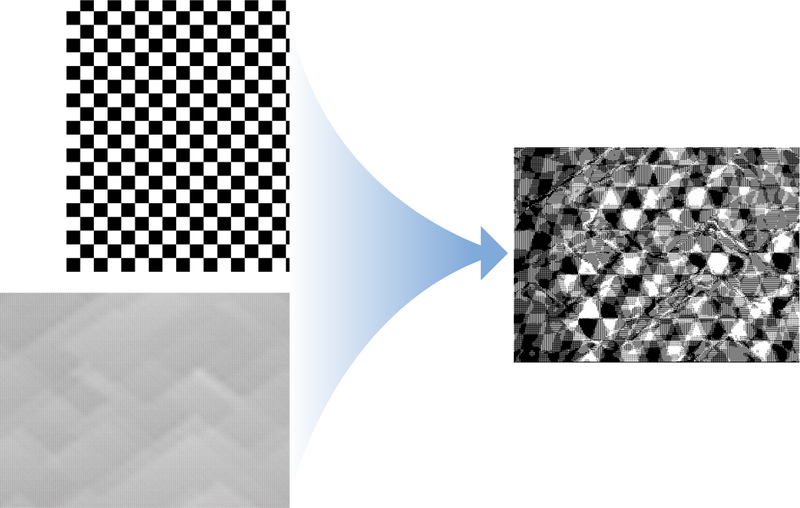 Unlike convolution filters which use square matrices, this filter can only produce effects along a horizontal axis, but it can be combined with CIConvolution9Vertical to approximate the effect of certain 9x9 weight matrices. This filter uses a 1x9 weight matrix and the 1x9 neighborhood surrounding an input pixel (that is, the pixel itself and those within a distance of four pixels vertically). Unlike convolution filters which use square matrices, this filter can only produce effects along a vertical axis, but it can be combined with CIConvolution9Vertical to approximate the effect of certain 9x9 weight matrices. The focused region of the image stretches in a line between inputPoint0 and inputPoint1 of the image. A CIVector object whose attribute type is CIAttributeTypePosition. 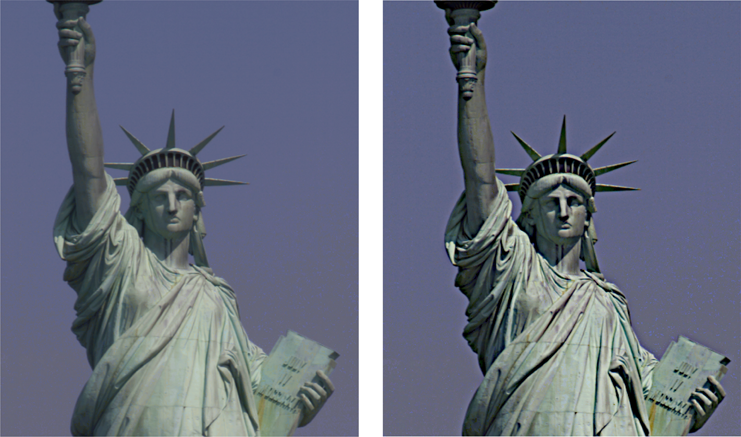 A saturation effect applied to the in-focus regions of the image. An NSNumber object whose attribute type is CIAttributeTypeScalar. This value indications the amount to adjust the saturation on the in-focus portion of the image. Specifies the radius of the unsharp mask effect applied to the in-focus area. An NSNumber object whose attribute type is CIAttributeTypeScalar. Specifies the intensity of the unsharp mask effect applied to the in-focus area. An NSNumber object whose attribute type is CIAttributeTypeScalar. Controls how much the out-of-focus regions are blurred. An NSNumber object whose attribute type is CIAttributeTypeScalar. This value specifies the distance from the center of the effect. 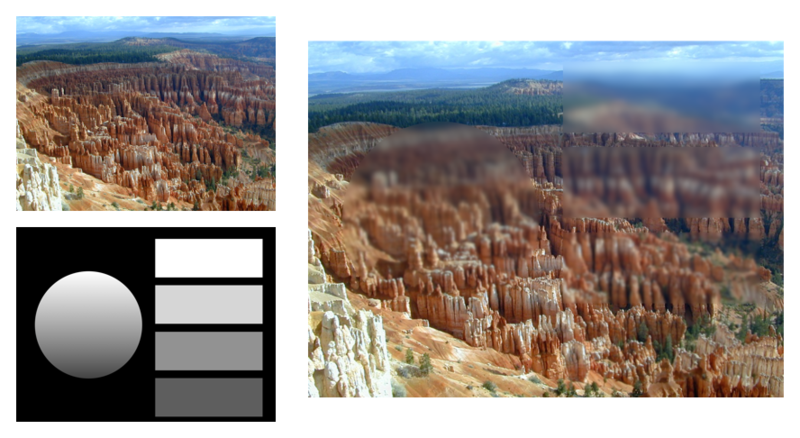 The white values of the mask define those pixels that are inside the height field while the black values define those pixels that are outside. The field varies smoothly and continuously inside the mask, reaching the value 0 at the edge of the mask. You can use this filter with the CIShadedMaterial filter to produce extremely realistic shaded objects. An NSNumber object whose attribute type is CIAttributeTypeScalar and whose display name is Highlight Amount. An NSNumber object whose attribute type is CIAttributeTypeScalar and whose display name is Shadow Amount. An NSNumber object whose attribute type is CIAttributeTypeScalar and whose display name is NR Noise Level. An NSNumber object whose attribute type is CIAttributeTypeScalar and whose display name is NR Sharpness. An NSNumber object whose attribute type is CIAttributeTypeScalar and whose display name is Edge Intensity. An NSNumber object whose attribute type is CIAttributeTypeScalar and whose display name is Threshold. 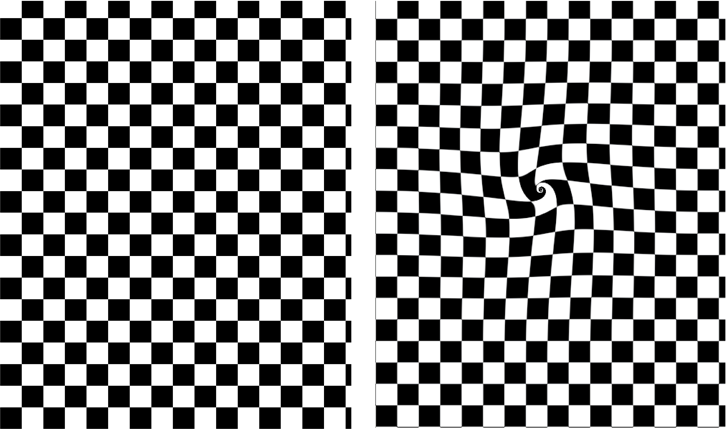 The portions of the image that are not outlined are transparent. 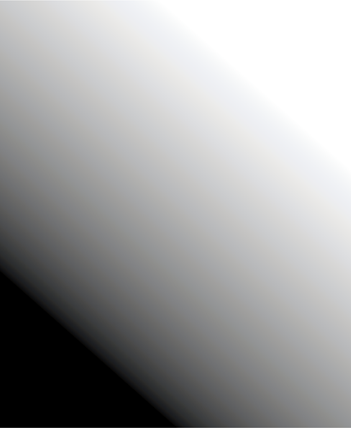 A CIImage object whose display name is Shading Image. The height field is defined to have greater heights with lighter shades, and lesser heights (lower areas) with darker shades. You can combine this filter with the CIHeightFieldFromMask filter to produce quick shadings of masks, such as text. This filter sets the input image as a height-field (multiplied by the scale parameter), and computes a normal vector for each pixel. It then uses that normal vector to look up the reflected color for that direction in the input shading image. A CIColor object whose display name is Center Color 1. A CIColor object whose display name is Replacement Color 1. An NSNumber object whose attribute type is CIAttributeTypeScalar and whose display name is Closeness1. An NSNumber object whose attribute type is CIAttributeTypeScalar and whose display name is Contrast 1. A CIColor object whose display name is Center Color 2. A CIColor object whose display name is Replacement Color 2. An NSNumber object whose attribute type is CIAttributeTypeScalar and whose display name is Closeness 2. An NSNumber object whose attribute type is CIAttributeTypeScalar and whose display name is Contrast 2. A CIColor object whose display name is Center Color 3. A CIColor object whose display name is Replacement Color 3. An NSNumber object whose attribute type is CIAttributeTypeScalar and whose display name is Closeness 3. An NSNumber object whose attribute type is CIAttributeTypeScalar and whose display name is Contrast 3. A CIVector object whose attribute type is CIAttributeTypePosition3 and whose display name is Light Position. 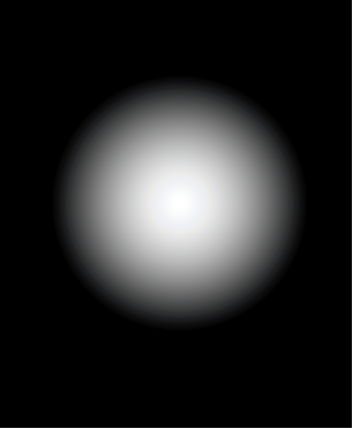 A CIVector object whose attribute type is CIAttributeTypePosition3 and whose display name is Light Points At. An NSNumber object whose attribute type is CIAttributeTypeDistance and whose display name is Brightness. An NSNumber object whose attribute type is CIAttributeTypeScalar and whose display name is Concentration. This filter performs similarly to the CIAffineTransform filter except that it produces an image with infinite extent. You can use this filter when you need to blur an image but you want to avoid a soft, black fringe along the edges. The width, along with the inputCenter parameter, defines the portion of the image to tile. An NSNumber object whose attribute type is CIAttributeTypeDistance and whose display name is Width. An NSNumber object whose attribute type is CIAttributeTypeAngle and whose display name is Acute Angle. An NSNumber object whose attribute type is CIAttributeTypeScalar and whose display name is Count. 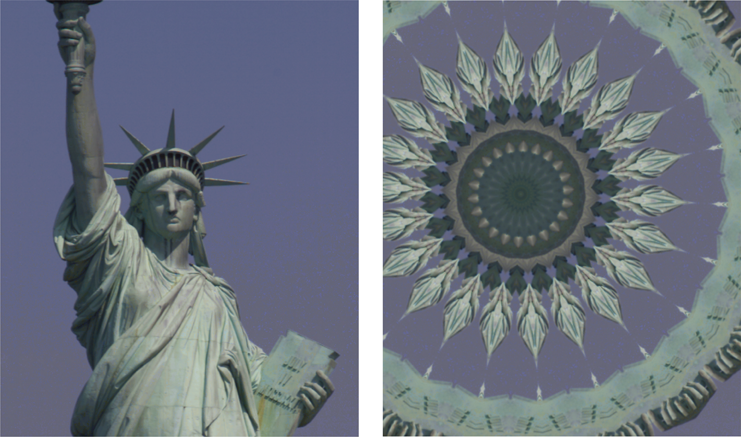 Maps a triangular portion of an input image to create a kaleidoscope effect. A NSNumber object whose attribute type is CIAttributeTypeScalar. A CIImage object whose display name is Target Image. An NSNumber object whose attribute type is CIAttributeTypeDistance and whose display name is BottomHeight. An NSNumber object whose attribute type is CIAttributeTypeScalar and whose display name is NumberOfFolds. An NSNumber object whose attribute type is CIAttributeTypeScalar and whose display name is FoldShadowAmount. An NSNumber object whose attribute type is CIAttributeTypeTime and whose display name is Time. An NSNumber object whose attribute type is CIAttributeTypeScalar and whose display name is Bar Offset. A CIVector object whose attribute type is CIAttributeTypeRectangle and whose display name is Extent. An NSNumber object whose attribute type is CIAttributeTypeScalar and whose display name is Opacity. An NSNumber object whose attribute type is CIAttributeTypeDistance and whose display name is Shadow Radius. An NSNumber object whose attribute type is CIAttributeTypeScalar and whose display name is Shadow Density. A CIVector object whose attribute type is CIAttributeTypeOffset and whose display name is Shadow Offset. An NSNumber object whose attribute type is CIAttributeTypeScalar and whose display name is Fade Threshold. The flash originates from a point you specify. Small at first, it rapidly expands until the image frame is completely filled with the flash color. As the color fades, the target image begins to appear. An NSNumber object whose attribute type is CIAttributeTypeDistance and whose display name is Compression. A CIImage object whose display name is Backside Image. An NSNumber object whose attribute type is CIAttributeTypeDistance and whose display name is ShadowSize. An NSNumber object whose attribute type is CIAttributeTypeDistance and whose display name is ShadowAmount. 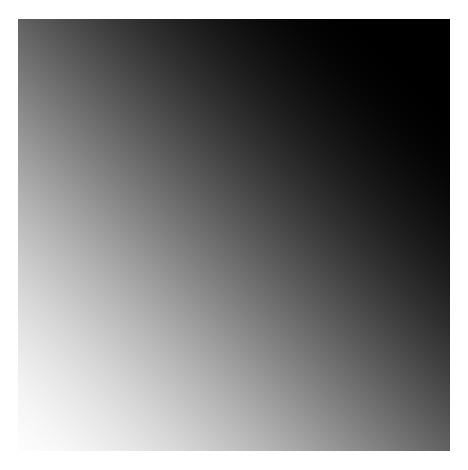 A CIVector object whose attribute type is CIAttributeTypeRectangle and whose display name is ShadowExtent.